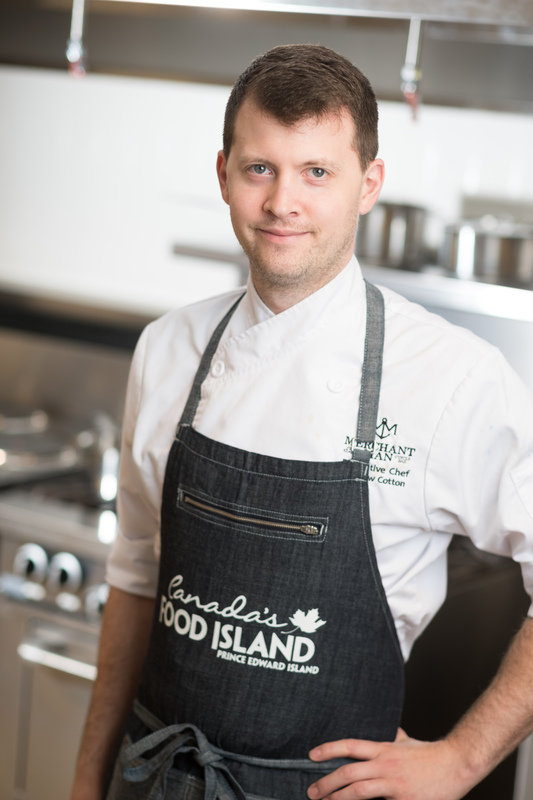 Chef Andrew Cotton exudes his passion for Prince Edward Island’s rich food bounty. While growing up on the close-knit Island, Andrew developed a deep appreciation for the role of food in bringing people together and creating lasting memories, and it guides his cooking today. Andrew’s early days in the kitchen meant helping out at home and learning the basics from family members, then later he worked as a teenager in local Charlottetown hotels and restaurants. The experience intrigued him, and he decided to enrol in the Charlottetown’s Culinary Institute of Canada. A keen and engaged student, Andrew took part in culinary competitions, which afforded the opportunity to travel across Canada and develop connections and friendships that remain with him today. After completing his culinary apprenticeship in Winnipeg under Chef Takashi Murakami at the St. Charles Country Club, Andrew returned home to Prince Edward Island and joined the Murphy Group of Restaurants. This has resulted in years of continued professional growth while working closely with his friend and mentor, Chef Adam Loo. As the Chef at Merchantman, Andrew is excited to be part of the ever expanding culinary community on Prince Edward Island. “It’s a small community, you really get to be friends with your suppliers and the people you work with every day”.